This Item is the US Version, it is not compatible with 3G Version and 4G Version, Please check your model before ordering. Note: It Does Not includes the front frame housing. 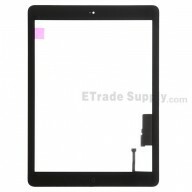 ● This Brand New and Original BlackBerry Z30 Screen Replacement composed of the LCD Display and Digitizer Touch Screen. 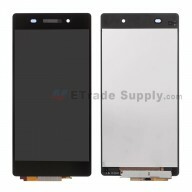 ● This BlackBerry Z30 LCD and Digitizer Assembly does NOT include the LCD Frame, please do not confuse it with the BlackBerry Z30 LCD Screen and Digitizer Assembly with Frame. ● The BlackBerry Z30 Replacement Screen carries with a Logo on the top and is for Verizon Version only. ● The BlackBerry Z30 LCD Assembly is available in Black or White. ● Please choose the right color and version before placing an order. ● This BlackBerry Z30 Touch Screen is hermetically attached to the LCD, special tooling is required for assembly. ● The flex cable ribbon is very sensitive and easily damaged. Handle carefully. ● The installation of BlackBerry Z30 Screen Replacement should be done by a qualified person. ETS is not responsible for any damage caused during installation.